Whether you are looking to learn about the city’s history, pre and post war, mainstream or underground, political or party, a city tour will satisfy your needs. 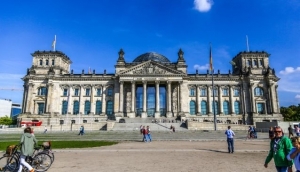 Tours of the city of Berlin are a wonderful way to get around town and see the sights whilst learning a bit of background on this great city. With the help of a personal guide or an audio system, city tours wont take long out of your day and there are many different routes or themes to choose from. You can travel by bus, bike, segway, foot, Trabi, horse and cart and more. Context Travel is a tour operator with a focus on delivering more intellectual tours. Tours are led by scholars and specialists, allowing for a much more in-depth apprec. Sandeman's New Europe tours operate a bunch of different walking tours of Berlin and are known for their friendly and knowledgable guides. On a tight budget? Join their .